Posted on May 24, 2016 at 9:28 am. A video of one of the great tuskers on a wildlife safari drive as seen on the 22nd of April 2016. It is an elephant affectionately called Ezulwini and he is a legend in Balule. I first saw and photographed him at Ngala dam in 2009 and have since seen him regularly as the central and western section of Balule became the core home range of this magnificent beast. He is a gentle giant often approaching to within touching distance of the safari cruisers. Silence would creep upon eager tourists as long telephoto lenses become useless appendices, unless used as a knobkierie to urge the guide to gun the game viewer for the hills. Nervous heartbeats sounding like distant drums would thump into my ear until guests’ fear are laid to rest when noticing his gentle demeanor. 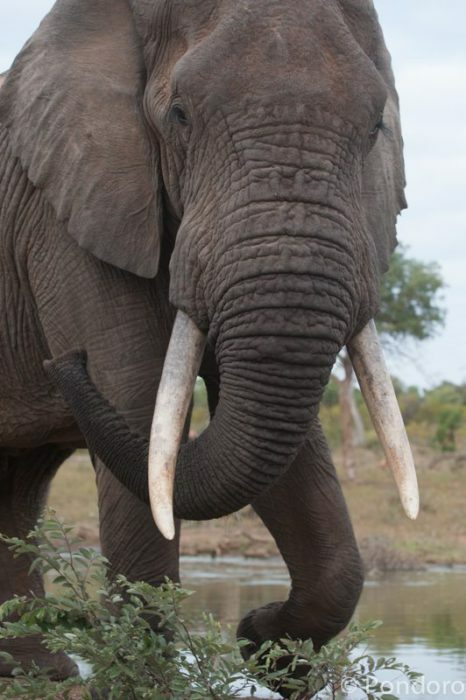 Tusks of elephants are formed by a single pair of continually growing upper incisors. Only two-thirds of the tusk is visible with the rest embedded in a socket in the cranium just below the nasal cavity. There is no nerve fiber in the pulp cavity of the tusk. The force used to which tusks are subjected during fighting, debarking of tress and digging may account for this anomaly. 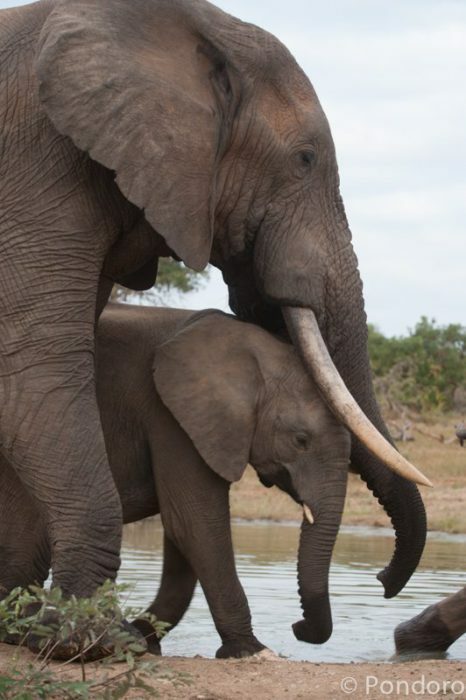 Elephants never stop growing and so, although the rate of growth slows with age, the great tuskers are also the oldest. As the elephant bull’s body size increases, so does his head and so, also, the diameter of the tusk socket. The rate of outward growth of the tusks is constant throughout life at an average of about 4,5 centimeters per year, but because the socket is getting larger, the rate of deposition of ivory in the tusk actually accelerates with age. The increase in the mass of a tusk is therefor not linear over time, but follows an upward curve. For this reason, big tuskers are always old, and by the time they achieve “tusker” status, they are usually coming towards the end of their lives. I am attaching 3 photos of Ezulwini showing this acceleration in deposition of ivory. The 1st two were taken in 2009 and the last in 2015. He is still young and now in his prime and should be really magnificent in 10 years’ time. The heaviest ivory ever recorded was exhibited in Paris in 1900. The tusk weighed 258 pounds and came from present day Benin in West Africa. Its present whereabouts is not known. Reference is also made of a pair of tusks that weight 280 pounds each. In 1872 the explorer Sir Richard Burton mentioned these tusks which were sent to the King of Portugal from Mozambique. The biggest tusks belonged to an elephant shot in 1898 on the slopes of Kilimanjaro by one of Tippu Tip’s (well known slave trader) ivory hunters called Senoussi. He came upon the elephant in surprise and watched the magnificent tusker in amazement for some time before firing the deadly shot. According to Senoussi, the elephant was not very large, but his shoulders and haunches were well developed. The tusks reached the ground and the points curved inwards until they were almost touching. The elephant had to lift his head while walking to prevent the tusks from digging into the ground. 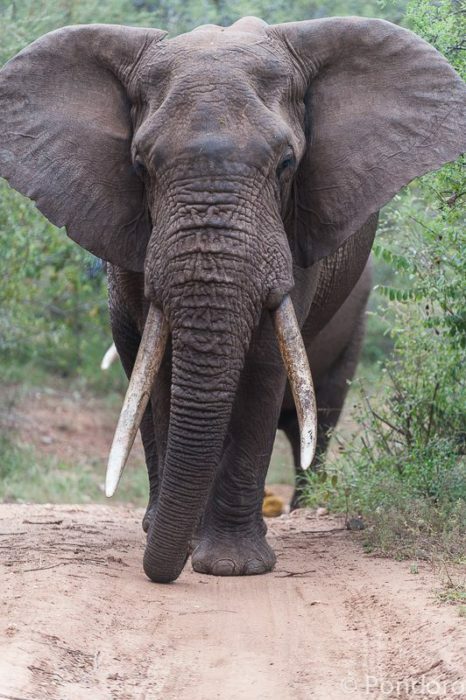 When the ivory reached Zanzibar in 1898 , the left tusk was found to weigh 232 pounds and the right 228 pounds. They were sold in Zanzibar in 1900 for $5000, a fortune in those days. The tusks were eventually separated, but reunited when bought by the British museum in 1932 and put on exhibition. After an attempt to steal them in 1937, they were removed and stored in a vault beneath the museum. They are currently on display again. Nothing beats seeing one of the great tuskers on safari and Kruger National Park and the surrounding South African Game Reserves are probably one of the only places in Africa where one can still stand a realistic chance to see one of the great wonders of nature. 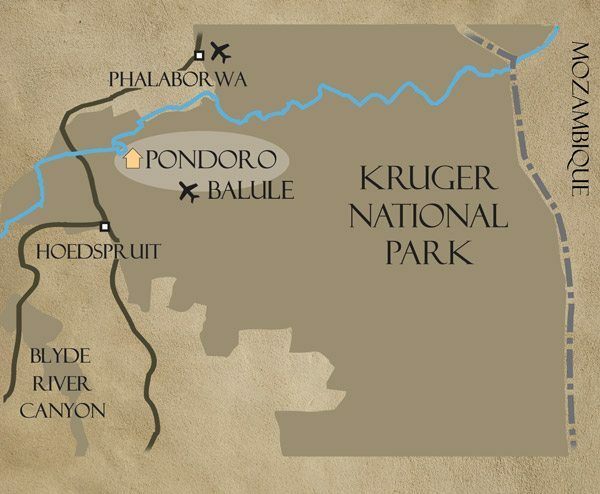 The Kruger Park has been blessed with an ongoing legacy of great tuskers ever since Mafunyane was unofficially crowned first King of Kruger back in the 1970’s. His tusks weighed 121.5 pounds each. Another famous elephant called Shawu and his left tusk is one of the 6 longest to ever come out of Africa and measured 317 cm. 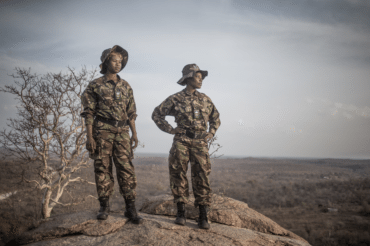 The genes for great tuskers were preserved among ancestors of the elephants that now inhabit Kruger and kept alive through good conservation programs. Additional info from the book: Great Tuskers of Africa; Johan Marais and David Hadaway.